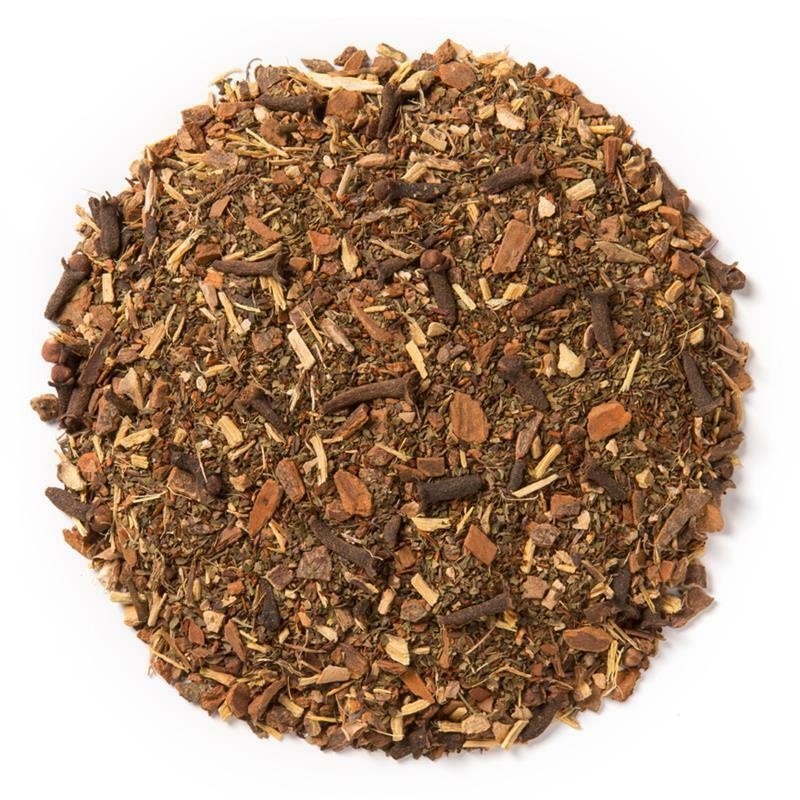 Tulsi Rooibos Chai (Loose Leaf) blends three adaptogenic varieties of Tulsi (Krishna, Rama and Vana) with South African rooibos and aromatic spices. 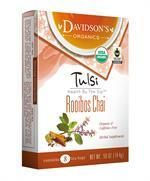 Davidson's Tulsi Rooibos Chai (Loose Leaf) is a full-bodied, spicy brew with abundant antioxidant properties. 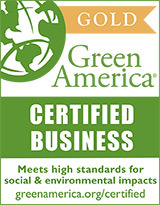 Davidson's sources its organic tulsi from North India. During a recent trip to visit our tulsi supplier, Davidson's co-owner, Kunall Patel, had the opportunity to work alongside the small farmers in the tulsi gardens. 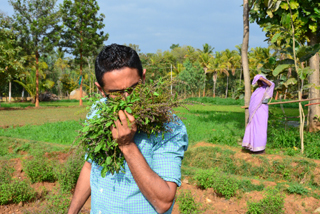 Here he is breathing-in a bundle of freshly sheared tulsi. Organic tulsi, organic cinnamon, organic licorice root, organic cloves, organic rooibos and organic ginger.